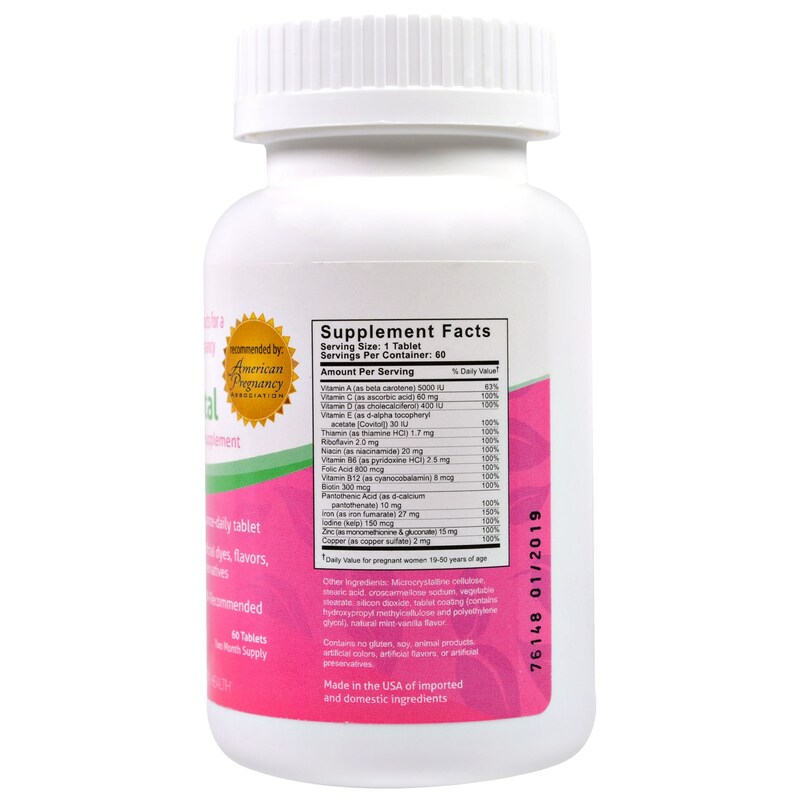 Peapod Prenatal provides a once-daily spectrum of vitamins and minerals deemed optional for mother and baby's health. 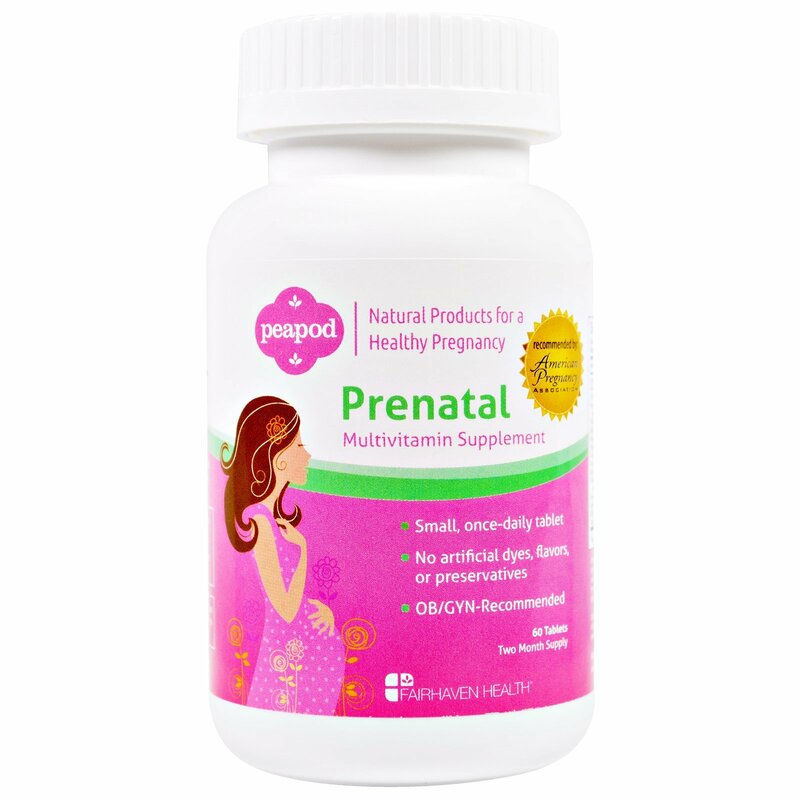 With a natural formula containing no artificial flavors, colors or preservatives, Peapod prenatal is the trusted multivitamin for before, during, and after pregnancy. For adults only. One tablet daily or as directed by a physician. Microcrystalline cellulose, stearic acid, croscarmellose sodium, vegetable stearate, silicon dioxide, tablet coating (contains hydroxypropyl methylcellulose and polyethylene glycol), natural mint-vanilla flavor. 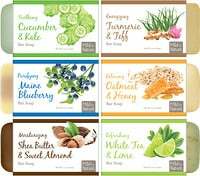 Contains no gluten, soy, animal products, artificial colors, artificial flavors, or artificial preservatives.